When we started with Chrono24, many industries had already shifted online but not the watch industry. 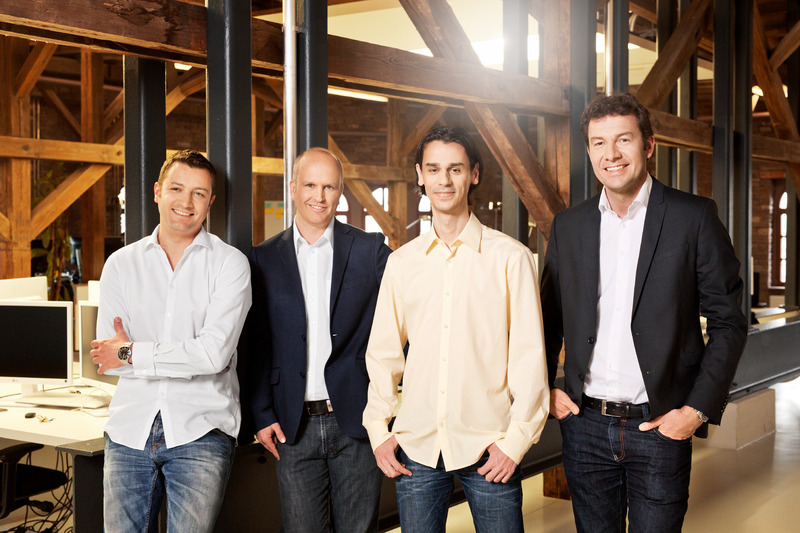 Two years ago, Holger Felgner, previous CEO of TeamViewer, one of the few German unicorn businesses, joined the team. Holger has already a quite impressive collection of Speedmaster watches. Our main shareholder is Insight Venture Partners from New York, a private equity and venture capital firm with $23 billion of assets under management, and our portfolio manager is a watch collector himself as well. Most brands realize that helping customers to trade-in pre-owned watches often helps to sell a new one. Many of our dealers accept a trade-in on every second watch they sell. Another reason is that labeling watches as pre-owned could be a way to sell overstock at a discount without having to put a discount price tag on the offer. We also have more and more authorised dealers coming to us, and a lot of them are looking to move into pre-owned within their stores, and also buying and selling via Chrono24. We are happy to help and support them. We hear from a lot of authorized dealers that have moved into pre-owned that the pre-owned part of the business becomes bigger than their strongest brand. 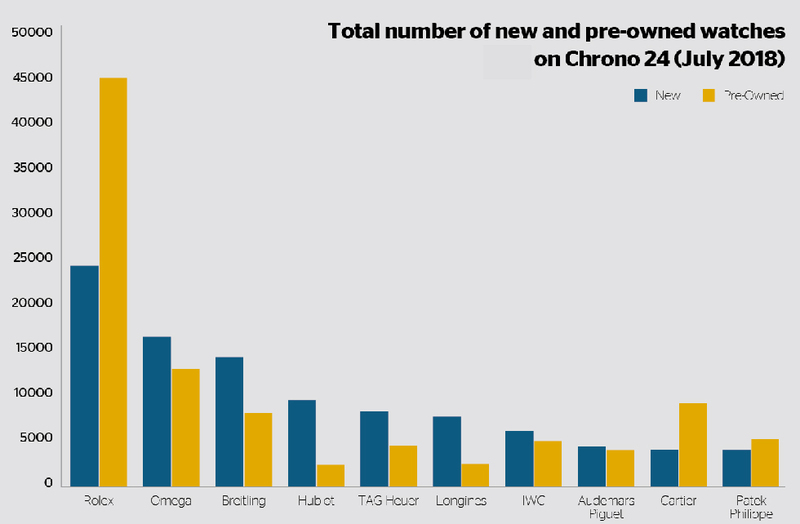 Tim Stracke: The majority of watches traded on Chrono24 are vintage and pre-owned. And there are also some dealers that sell overstock from brands or authorized dealers at a discount which is a great for our users. You can also find and buy new watches on Chrono24 directly from the manufacturer at full retail. Our offering is very international, if you include private sellers we deal with around 100 countries. Tim Stracke: The big manufacturers realized that the grey market, or parallel market business is only a short-term healing of their challenges. It was interesting that in 2015 and 2016, when the market was flooded with grey market watches and prices were incredibly low, our dealers said that people stopped buying if discounts got too big. Either customers thought that they could just wait a couple of months and the watches would get even cheaper, or they thought there must be something wrong with the brand. Now they are talking to us – inviting us and coming here and asking questions about how we can help them to reach new customers and keep their prices stable. Brands more and more realize that a liquid pre-owned market makes watches tradeable and therefore valuable. And they know that we want to support them in their effort to provide price stability which is healthy for the entire market in the long-term – it helps buyers who want timepieces that preserve value and brands that want to preserve their image. Tim Stracke: We can definitely include authorized dealers in that process, especially when users prefer to touch the watch upfront, which is often the case. In the past, some considered Chrono24 to be the root cause of the grey market. Now they realize that we are just the ones that made prices for our users transparent. If brands want to control the grey market, we can help them. We have solutions that work impressively well. It only takes a few months for the grey market price to change once supply is reduced. Also, when you reduce supply to improve the health of prices in the market, you can directly work with Chrono24 to keep those prices stable. Tim Stracke: It is a matter of strategy. When I speak to the watch industry CEOs, I ask them how they incentivize their sales teams. Most have bonuses based on revenue, which means that those people will keep pushing watches into the market that might not find customers at full retail. Tim Stracke: Our data can be very helpful to identify current and future trends. Do users shift from 38mm to 41mm? Or back from steel to more gold? That even might be a different answer in Europa, Asia or the US. Through collaborative filtering we can make personalized recommendations – probably in many cases even better than in a store. And this data in the end also helps to better meet the customers’ needs. Tim Stracke: We are about to launch an auction channel for dealers on our platform. We have recently started a marketplace for jewellery called Finejewels24.com, because we realized that most of our dealers are selling jewellery as well as watches. We are looking to the US and Asia to expand our brand. We are going to target those markets with better marketing. Inside Chrono24’s German headquarters feels more like a Silicon Valley tech firm, although it is housed in an ancient castle.